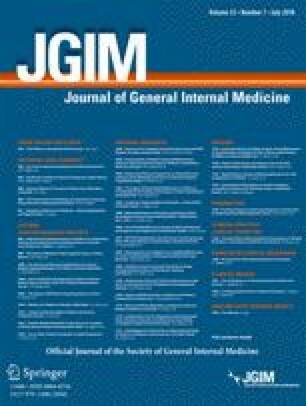 In 1987, the Ad Hoc Working Group for Critical Appraisal of the Medical Literature proposed a seven-heading format for structured abstracts in clinical articles.3 Their proposal was further supported by several studies that suggested that structured abstracts were superior to unstructured abstracts, in terms of both quality and the ability to allow readers to select articles more quickly.4,5 However, several subsequent studies questioned the superiority of structured abstracts over unstructured ones.6 Nevertheless, many journals quickly adopted the structured abstract concept soon after it was introduced in 1987. No large-scale data currently exist on specific abstract format requirements required by individual medical journals for published research articles. This information could be valuable in determining the current trends in abstract structure to help tailor the abstract format to the preference of their readers. Thus, our study was performed to evaluate the abstract format requirements for all English medical journals that publish original articles. Two thousand two hundred thirty-two medical journals were identified from an official database of all verified medical journals cited in Pubmed. Journals that did not contain original articles and non-English journals were excluded from the study. Thus, 1883 journals were identified as English journals that publish original articles and were included in the study. We analyzed all 1883 journals to determine whether or not they required authors to include a structured abstract. If the journal required a structured abstract, we then recorded the format of the required structured abstract, the number of headings required in the structured abstract, and the publisher of the journal. This information was collected from the “Instructions to Authors” section from the journals’ websites. The structure of the abstract was determined by the specific combination of required headings. Journal characteristics were assessed using frequencies and proportions. Of 1883 medical journals analyzed, 1130 (60.1%) required a structured abstract, while 753 (39.9%) did not. Among the structured abstracts, the number of headings required ranged from 2 to 11; four headings were most commonly required (735 journals) (Table 1). There are a total of 314 different structures required by the individual medical journals. The top ten required structures are listed in Table 2. The most common abstract structure “Background, Methods, Results, Conclusions” is required by 205 (18.8%) journals. The abstract structure requirements of the top three publishers, Wiley, Springer, and Elsevier, are described in Table 2. Elsevier publishes 355 (18.9%) of the journals included in the study; their most common abstract structure requirement, “Background, Methods, Results, Conclusions”, is required by only 19 (5.3%) of their journals. The data show that there is a huge variability among medical journal abstract format requirements. Almost two-thirds of journals require a structured abstract, while a little more than one-third do not. Even among the journals that require structured abstracts, 314 different structured abstract formats exist. The data also show that the required abstract format often varies depending on the publisher, although variability even exists within each publisher’s “Instructions to Authors”. The abstract of a research article describes the overall purpose of the study, the materials or subjects of the study, the methods of the study, the major results of the study, and the implications of those findings specific to the field of the study, all in about 300 words or less. Therefore, to optimize effectiveness, the abstract should be presented in a manner that will most efficiently deliver its message to the reader. Nowhere is this more important than in the medical field, where physicians are required to keep up with the ever-advancing current literature in their respective specialty. Nonetheless, clearly, there is neither standardization nor unanimity on abstract construction, in fact, far from it!